Unfortunately, we are all going to face the inevitable of getting older. However, we can slow down the aging process. It all starts with proper skin care; keeping the skin fresh and protected is key to looking and feeling younger. Sunscreen, moisturizer, and anti-aging products can be used to hinder the aging process, especially when used daily and correctly. For those superficial signs of aging that you can’t get rid of with a regular skin care regimen, cosmetic treatments can dramatically reduce signs of aging such as fine lines, wrinkles, sun damage, and age spots. With these treatments, patients can achieve younger-looking skin with minimal recovery time and pain. BOTOX® Cosmetic: A protein neurotoxin derived from botulinum toxin A, which is injected into the facial muscles and inhibits their movement, overall diminishing the appearance of fine lines and wrinkles. Laser skin resurfacing: Retin-A® is used, which is a prescription treatment that thins the skin’s outer layer, allowing the acid solution used in the peel treatment to penetrate deeply and evenly. Fat transfer: Liposuction is used to remove fat from one area of the body with excess fat, and then the purified fat is injected into the face. The added volume to the face will fill wrinkles and make the skin look and feel fuller. By undergoing one or more of these treatments, you can achieve fresher, more youthful skin that can last with a proper skin care regimen. For the best results, you should practice healthy skin habits with these treatments. Protect: Use sunscreen daily. Even when the sun isn’t bright and when it is gloomy outside, UV rays can still shine through and damage your skin. Moisturize: Use a moisturizer daily on the face, hands, and body. The best time to do this is when your skin is still damp after showering or bathing. Avoid long, hot showers: Take short, cool showers to protect the skin from losing its natural oils and nutrients. Do not use scalding hot water. Ease up on exfoliants: Avoid daily use of cleansers and other skin care products with alpha hydroxy acids and other exfoliating agents. Although these help with exfoliation and skin cell turnover, they can dry out the skin. Aim to exfoliate your skin just once or twice a week. Fine lines, wrinkles, and age spots, can be alleviated with a healthy skin care regimen and anti-aging treatments from Dr. Scroggins. The skin won’t stay young and fresh forever, so be kind to your skin! If you are interested in facial cosmetic treatments or would like to learn more about skin care, Dr. Scroggins can provide you with all the information you need. You can schedule your consultation by calling (301) 220-0400 or by filling out our online contact form. This entry was posted on Tuesday, April 19th, 2016 at 4:31 pm	and is filed under BOTOX® Cosmetic, Fat Transfer, Skin Care, Skin Resurfacing. You can follow any responses to this entry through the RSS 2.0 feed. Both comments and pings are currently closed. A smooth, clear, and vibrant complexion not only enhances your attractiveness but also portrays health, youth, and vitality. Maintaining your complexion can be difficult as factors such as aging, hormones, environmental conditions, and sun exposure diminish skin quality. Skin resurfacing treatments can revitalize your skin and enhance your face to give you a vibrant complexion. Here are some of the skin resurfacing treatments that Dr. Scroggins uses to improve skin quality for patients of all skin types. Retin-A® is a facial cream enriched with vitamin A. Vitamin A helps to make skin healthier and can effectively treat wrinkles, acne, enlarged pores, rough skin, psoriasis, and sun spots. Retin-A® skin resurfacing comes in various formulas and strengths to soften skin imperfections and repair damaged skin. Regular use of Retin-A® cream changes the skin’s cellular metabolism and gives the skin the nutrients it needs to renew and heal itself. After several months of using Retin-A®, many patients see both wrinkles and age spots fading away. A chemical peel is a treatment that can improve the appearance of facial skin. A chemical solution is applied directly to the skin to exfoliate it, and the treated skin peels off to reveal younger, regenerated skin. The removal of the damaged outer layer of skin makes way for smoother and softer skin. Dermabrasion is a procedure that sands away the surface layers of skin. A rotating burr or fraise levels the surface layers of skin, removing the top layers so that the skin can regenerate a new, healthier layer. Dermabrasion treatments typically target fine lines and acne scars. Similar to dermabrasion, dermaplaning removes the surface layer of skin but with the gentle scraping of a scalpel. This treatment provides deep exfoliation to reveal a smoother complexion without the use of chemicals. Glycolic acid breaks down the skin’s outermost layer, destroying damaged skin and uncovering the clearer and healthier skin layers. Varying levels of concentration and strength can treat acne, fine lines, and signs of premature aging. Glycolic acid treatments provide very even exfoliation and, like other skin resurfacing treatments, reveal a smoother complexion. To learn more about skin resurfacing treatments and to find out which treatment may be right for you, schedule your consultation with Dr. Carlton Scroggins. Call us at (301) 220-0400 or fill out our online contact form to schedule your appointment today. This entry was posted on Monday, December 14th, 2015 at 8:19 am	and is filed under Skin Resurfacing. You can follow any responses to this entry through the RSS 2.0 feed. Both comments and pings are currently closed. There’s a reason we’re advised to regularly wash our faces and wear sunscreen when we go outside. This is because the skin on your face is incredibly vulnerable to the effects of aging, the sun, stress, and hormonal imbalances. Your facial skin can develop acne, wrinkles, roughness, sun spots, and skin discoloration. To combat these effects, cosmetic surgeon Dr. Carlton H. Scroggins recommends a nonsurgical skin rejuvenation product called Retin-A®. Retin-A® can effectively improve facial wrinkles, acne, discoloration, and skin texture. Retin-A® is an enriched skin cream or gel that contains vitamin A. This vitamin is widely acknowledged as one of the best nutrients for healthy skin, and it has been used for decades to effectively treat wrinkles, rough skin, sun spots, psoriasis, and even severe acne. Retin-A®, which is enriched with vitamin A, changes the cellular metabolism of the skin’s surface layers to target facial wrinkles, sun spots, and acne. In other words, Retin-A® helps the skin to renew itself. Patients who regularly use Retin-A® can experience healthy, youthful skin with improvement in fine lines, sun spots, large pores, roughness, and acne. This treatment softens the imperfections of the skin for a fresh, clear complexion. Because it focuses on repairing the damaged surface layer of skin, Retin-A® is not meant to prevent aging or remove scars. If needed, Retin-A® can be used as a preparatory treatment for a chemical peel to enhance the effects of the combined treatments. It can also be used in combination with a facelift or other cosmetic procedures. Retin-A® is a daily treatment that should be used throughout your life for maximum benefits. After washing your face each night, apply a pea-sized amount of Retin-A® all over your face. Most individuals should use Retin-A® each night for a period of eight months to one year, at which point applications may be reduced to two or three times each week. As you visit with Dr. Scroggins throughout treatment, he will adjust the treatment plan and formula strength as necessary to find the most effective blend for your skin. He may also recommend applying a moisturizer after treatment if you experience uncomfortable dryness or irritation. These side effects are normal and should gradually go away as the skin adjusts to the new treatment. As Retin-A® treats your skin, it thins the surface layer of skin, which means you will need to regularly apply sunscreen to guard against damaging sun rays. With regular use, you will see improved skin tone, smoother texture, and disappearing fine lines. Many patients report a significant change in the appearance of wrinkles and age spots within just six months. Retin-A® is a nonsurgical skin rejuvenation treatment that provides effective skin resurfacing for improved skin texture and health. Call us today at (301) 220-0400 or visit us online to schedule your consultation about Retin-A® with cosmetic expert Dr. Carlton Scroggins. This entry was posted on Sunday, August 16th, 2015 at 9:25 pm	and is filed under Retin-A®, Skin Resurfacing. You can follow any responses to this entry through the RSS 2.0 feed. Both comments and pings are currently closed. There are so many things a bride worries over on her wedding day. Looking amazing should not be one of those things. Weddings can create a lot of anxiety about appearance for a bride. It’s the one day where all eyes and camera lenses are on you. This has led many brides to a surgeon’s office before they walk to the alter. Pre-wedding plastic surgery is on the rise as brides transform themselves for their big wedding day. A big fear many brides have is that they aren’t going to look amazing in their wedding dress. For some, breasts that are too small prevent their dresses from fitting correctly. To wear your dream dress with confidence, you may want a breast augmentation to fill out the top completely. Breast augmentation increases the size and corrects the shape of the breasts using implants. You have a choice of the placement of saline or silicone implants. The combination of implant type and placement will provide varying degrees of a natural breast look and feel. Breast augmentation should be performed at least six months prior to your wedding to ensure that all swelling has subsided so your breasts will look their best in your gown. For brides that would like to increase the size of their breasts but prefer a more subtle, natural enhancement, there is fat transfer. After fat is harvested from problem areas of the body using liposuction, fat transfer involves the injection of the purified fat into the breasts. This procedure uses only 100 percent patient-harvested fat tissue to increase the size of the breasts. Results look and feel natural because the fat is natural. Fat transfer is only ideal for women looking to have a slight increase in breast size. One treatment may achieve an increase up to one bra cup size. Fat transfer has the added benefit of fat removal from trouble areas of the body. The tissue is taken mainly from the abdomen, hips, or thighs. This slims your body contours to allow for a more visibly toned physique. These body contouring enhancements will have you looking gorgeous in your wedding dress and amazing out of it. Many brides choose to diet leading up to their wedding in order to be at peak perfection on the big day. As time gets closer, there may be stubborn fat deposits that remain despite diet and exercise. Liposuction uses a thin tube to vacuum suction out fatty tissue from trouble areas of the body such as the abdomen, hips, thighs, back, and arms. It can help you shed those last few unwanted inches and eliminate unnecessary fat. Every bride desires that healthy, wedding-day glow. Wrinkles and acne may be dulling your skin and leave you less than fresh-faced. Skin resurfacing using Retin-A® helps reverse the effects of sun damage on the skin. Retin-A® removes the outer, dead layer of skin cells. This leaves new, healing skin cells in their place. Skin resurfacing helps you achieve smooth, glowing skin for your big day. If you are seeking a helping enhancement for your wedding day or simply desire a boost for everyday life, contact Dr. Scroggins’ office today. Contact us at (301) 220-0400, or fill out our online contact form for more information. This entry was posted on Sunday, May 17th, 2015 at 7:59 pm	and is filed under Breast Augmentation, Fat Transfer, Liposuction, Skin Resurfacing. You can follow any responses to this entry through the RSS 2.0 feed. Both comments and pings are currently closed. Many people desire to project a youthful face that is free of signs of aging. Unfortunately, factors like genetics, sun exposure, and the stresses of life can lead to wrinkles, fine lines, and dark spots. And while these conditions typically worsen over time, cosmetic treatment can provide effective improvement. Dr. Carlton Scroggins regularly performs a variety of procedures, such as brow lift surgery, facial fat transfer, or nonsurgical skin resurfacing, for men and women of all ages. If you’re still considering cosmetic treatment, just know that it’s never too late to start protecting your skin from future damage now. Below are some tips that can help stave off the aging process. Sugar raises insulin levels and accelerates aging in the skin through a process called glycation. While eliminating sugar from your diet completely would be best, it’s not realistic. Aim to consume no more than 30 grams of sugar per day. This can be done by drinking water instead of sugary sodas or juices and by eating fresh fruits and vegetables instead of processed foods. Although it’s no secret that lotions and creams can keep the skin hydrated, there are some products that just work better than others. When moisturizing your face, try to use a lotion that is alcohol-free and contains retinol to fight against dryness and wrinkles. You may be shocked by this, but chances are you don’t get your daily recommended value of vitamins & minerals like Vitamin D, iron, and magnesium. To fulfill these needs, try to eat foods like green vegetables, milk, and nuts. It may also be a good idea to take a multivitamin on a daily basis. Dead skin cells are constantly lurking on the surface of your skin. Exfoliating your face once or twice a week not only removes these dead skin cells, but it also enables the healthy cells beneath to come to the surface. Protecting your skin from the sun’s harmful ultraviolet rays is one of the most important things you can do to ward off premature aging. Wear a broad-spectrum sunscreen with a sun protection factor (SPF) of 15 or greater every day, rain or shine. If you’re unsatisfied with signs of aging on your face, we recommend you call (301) 220-0400 or fill out our online contact form today. Dr. Carlton Scroggins and his caring staff strive to provide you with results that you can feel confident about. This entry was posted on Wednesday, April 15th, 2015 at 9:56 pm	and is filed under Brow Lift, Fat Transfer, Healthy Lifestyle, Skin Resurfacing. You can follow any responses to this entry through the RSS 2.0 feed. Responses are currently closed, but you can trackback from your own site. 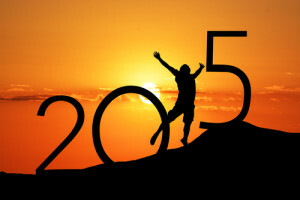 With 2015 already upon us, you’ve likely already began your New Year’s resolution(s). If you’re like most people, your aspirations include improving yourself by losing weight or eating healthier. However, there are a lot of little things that you can do that also benefit your long-term physical and mental health. Walking is the easiest form of exercise, and it helps to lower blood pressure and balance cholesterol levels. Various studies have shown that wearing a pedometer encourages you to walk more than you regularly would. Many people are very enthused about taking all kinds of vitamin supplements these days. However, getting your vitamins from food and drinks is still the best way to get the nutrients your body needs. Taking a multivitamin on a daily basis is fine, but don’t completely rely on it to make up for nutrition that you don’t consume naturally. Collagen is the connective tissue in the skin responsible for keeping it tight and elastic. Sugar can have a negative effect on collagen through a process known as glycation. This process occurs when sugar enters the bloodstream and attaches to proteins, which forms new molecules that permanently damage collagen in the skin. Whether you’re looking for subtle improvements or a more dramatic transformation, there are a variety of cosmetic procedures available to give you the confidence you deserve. For example, skin resurfacing can improve imperfections such as dark spots and fine lines, fat transfer can eliminate stubborn fat and use it to enhance other areas of the body, and tummy tuck surgery can improve the abdominal region. 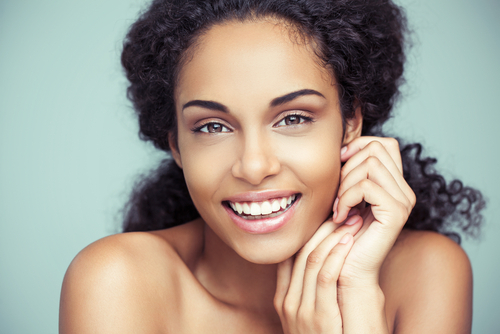 Click here to see all of the cosmetic procedures we offer. We hope you have a fantastic 2015 and look forward to seeing you soon! To schedule a consultation with Dr. Carlton Scroggins, please call (301) 220-0400 or fill out our online contact form today. This entry was posted on Wednesday, January 28th, 2015 at 12:41 am	and is filed under Injectable fillers, Skin Resurfacing, Tummy Tuck. You can follow any responses to this entry through the RSS 2.0 feed. Responses are currently closed, but you can trackback from your own site. With the rise in popularity of plastic surgery over the last few decades and the media attention on celebrity plastic surgeries gone wrong, many people have a misguided idea of this medical specialty. Here is the truth to several common misconceptions about plastic surgery. The term ‘plastic surgery’ covers a wide range of procedures and treatments, and when they are performed by a trained and experienced plastic surgeon, the results can appear completely natural. Although some celebrity breast augmentations and facial implants may look fake, this is often because the person desired that appearance or they underwent the surgery with a doctor who was not qualified. Making sure that your surgeon is trained and experienced in performing the procedure you desire will ensure that you get the most natural-looking results possible. 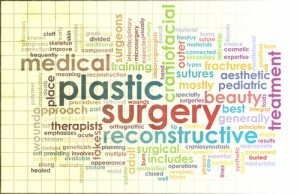 Plastic surgery encompasses the fields of cosmetic surgery as well as reconstructive surgery. Cosmetic plastic surgery is probably what comes to mind when someone mentions plastic surgery, and this field focuses on creating an appearance that is aesthetically pleasing. Rather than undergoing procedures to be vain, most people have cosmetic surgery to significantly improve their confidence and relieve anxiety they have about their appearance. Reconstructive plastic surgery provides a normal appearance and regular functioning of the body as a result of an injury or birth defect. A deformity can impair a person physically, and it can take a mental toll by causing a person to feel as though he or she is an outsider and not socially accepted. For example, reconstructive surgery for congenital abnormalities prevents children from the torment of being teased for an aspect of their appearance that is out of their control. 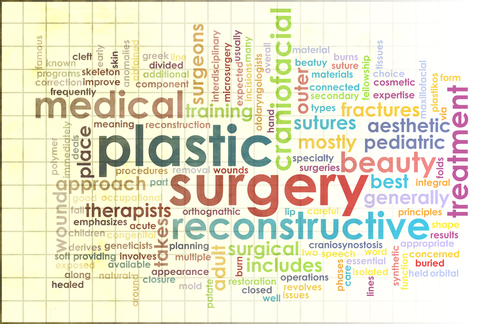 Reconstructive hand surgery, burn scar revision, breast reconstruction after mastectomy, and cleft lip repair are just a few examples of reconstructive plastic surgery procedures. This presumption is most likely based on the fact that the majority of plastic surgery patients are women, but in recent years the number of men choosing to undergo plastic surgery has increased dramatically. Liposuction for a slimmer waist, rhinoplasty for improved nose shape, blepharoplasty for eyelid tightening, and gynecomastia surgery to reduce overdeveloped male breasts are the top four cosmetic surgeries that men underwent in 2012, according to The American Society for Aesthetic Plastic Surgery (ASAPS). Less invasive procedures, such as BOTOX® Cosmetic and skin resurfacing for facial rejuvenation, are among the most common plastic surgery treatments undergone by men. Dr. Scroggins has been performing plastic surgery procedures for almost 20 years and specializes in cosmetic breast surgery and body contouring. If you are interested in plastic surgery in the Washington D.C. or Baltimore area, please call (301) 220-0400 or fill out our online contact form today to schedule your consultation. We look forward to hearing from you! This entry was posted on Monday, February 10th, 2014 at 6:50 pm	and is filed under Blepharoplasty, BOTOX® Cosmetic, Breast Augmentation, Facial Implants, Gynecomastia Surgery, Liposuction, Rhinoplasty, Skin Resurfacing. You can follow any responses to this entry through the RSS 2.0 feed. Both comments and pings are currently closed. ©2019 Plastic Surgery of Greater Washington, all rights reserved.